This is a Fragment. It was company: F. Schumacher & Co.. We acquired it in 1979. 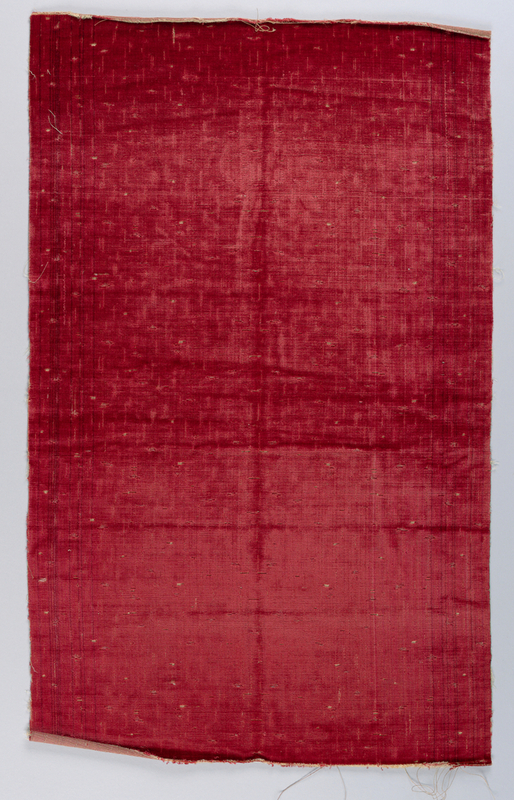 Its medium is silk, cotton, velvet and its technique is plain weave with supplemantary warps forming pile. in addition to the woven-in white spots signs of wear have been made by clipping the pile. It is a part of the Textiles department.